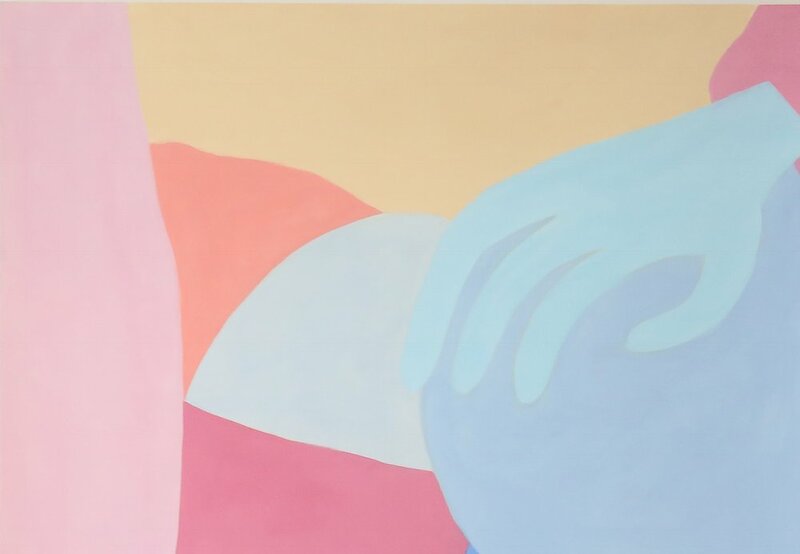 In her new series of paintings artist Louise Erhard plays on her past work, a common thread of themes combined with her passion for color theory and a desire for a minimalist aesthetic. 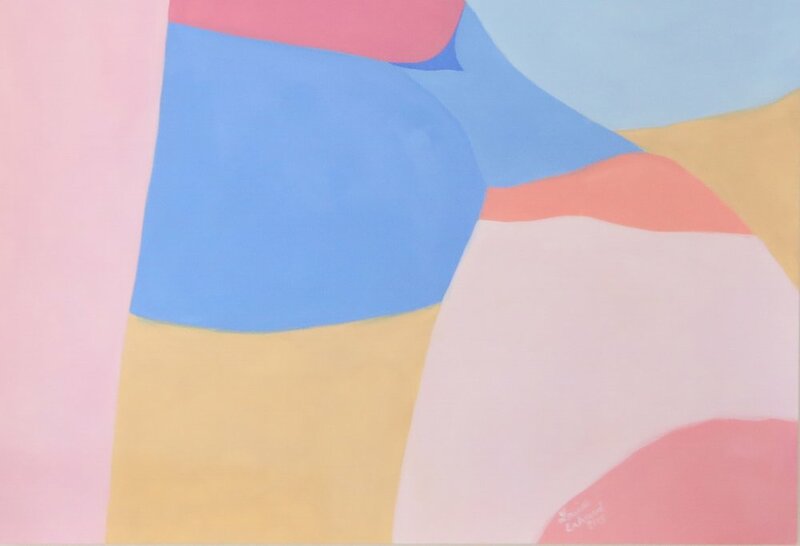 Playfulness, eroticism, and art historical references beat like a pulse throughout each piece. Gouache on paper, framed. 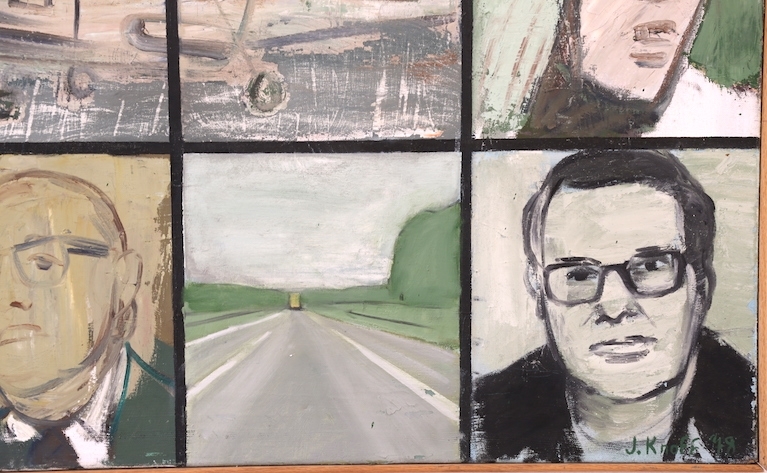 Johan Knoff is a Norwegian painter who during the 70s received a grant to travel around Germany and the US. During his travel he was deeply impressed with the events caused by the ultra left terrorist group Baader-Meinhof also known as the Red Army Faction in Germany. 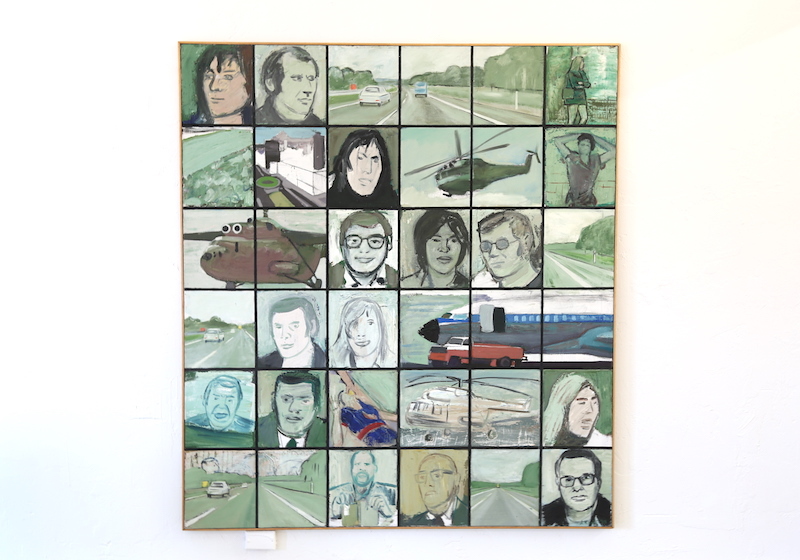 This painting made in 1978 captures portraits of the founding members of the group and inspired in newspaper clippings, images captured from the acts. Not only is this painting representative of a historical moment captured by a foreigner, but also it is beautifully depicted in green tones resembling newspaper print and a likeness to the characters that becomes an instant conversation piece. The artwork is oversized with a thin oak frame, signed J.Knoff '78 on the front and Johan Knoff on the back of the frame.